Betfair is a reputable bookmaker and online betting exchange with worldwide fame. It was founded in 2000 by Andrew Black and Edward Wray. The headquarters of the company are located in England, UK and more precisely in Hammersmith, West London. Betfair engaged its betting exchange activities about four years ago on 9 March under Gibraltar licence. Since its launch about 15 years ago, this bookie is known to be the largest online betting provider in the United Kingdom as well as the largest betting exchange worldwide. 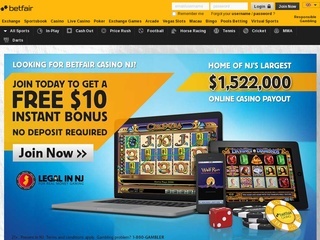 According to the statistics, which come directly from Betfair, the online betting giant has more than 4 million customers (with 1.1 million active in 2016) and more than 2300 employees around the world, however, US and French players are not accepted. For the year of 2014, the bookmaker has made about £393.6 million revenue and £51.0 million net income. Betfair is also part of the London Stock Exchange since 2010. Its stock symbol is BET. Spreading its popularity in whole of Europe the company is already a recognized worldwide brand. It’s no surprise it ranks amongst the best in the industry. When it comes to gambling on sports events you can’t go wrong with Betfair. When it comes to various bet schemes and variations, Betfair is one of the few bookmakers that offers such wide range of opportunities for its clients. Their markets offer almost anything you can think of. Sports available for betting are as follows – boxing, American football, athletics, rowing, Aussie rules, baseball, ice hockey, basketball, greyhound racing, cricket, football, cycling, darts, golf, horse racing, motor racing, pool, tennis, rugby, swimming, winter sports and snooker. There is amazing possibility to combine different bets up to 8. However, it’s the market to determine what are the available bets. Another good thing is the bet limits, which are high compared to other bookies. Betfair offers live streaming for sports betting on football, tennis, basketball, snooker, horse and greyhound racing. 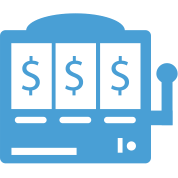 They also provide one of the most reliable live betting options in the online gambling industry, where you can wager even in the final seconds. Apart from sports betting, you can also gamble on their casino and poker platform or enjoy other small games they offer. 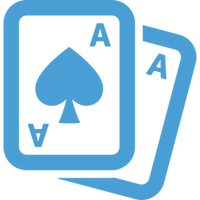 You can choose from: Black Jack, Roulette, Slots and Poker. There is a live casino as well. Those who love to play bingo will be disappointed because this online bookmaker isn’t supporting it. The famous online bookmaker also offers mobile, and the phone is betting for those who want to wager on the go. Probably one of the worst things about Betfair is their commission on net winnings, which is in the range of 5 to 7 percent. The minimum bet is set to £2, and the maximum can vary. All odds are in EU format(1.5) and according to many sources are some of the highest – in an even match around 1.98. The bookmaker claims that the odds it offers are roughly 20% better than any traditional bookie. On top of that Betfair has a strict policy never to cancel the odds, but only on very special occasions. For the football betting enthusiasts, there are numerous schemes, such as half/full time, correct score, under/over and Asian handicap. The type of bets and combinations also vary and most of them are Double, Treble, Trixie, Patent, Yankee, Lucky15, Heinz, Super Heinz and Goliath. To provide excellent security for its clientele, this online bookie has adopted SSL encryption from VeriSign on their website. All the data, both sensitive and common, is well secured and protected. On the contrary, the online betting giant was accused in the past of confidential data theft, which is not a small issue. Betfair is also a member of IBAS (Independent Betting Adjudication Service). Talking about customer experience, we can’t miss their support division. Clients are free to contact Betfair’s representatives 24/7 on the phone hotlines, through live help, or via email. Their customer care services offer extensive support for 14 languages for email communications, including English, German, Italian, Norwegian, Polish, Portuguese, Russian, Swedish, Czech, Bulgarian, Greek, Danish, Finnish, Chinese. A large and esteemed online betting company like Betfair surely accepts various currencies and payment methods. Here is a list of all the national currencies that you can use. Deposit and withdraw options aren’t limited as well. Clients can easily use bank transfers and cheque, as well as many e-wallet payment methods. Some of the options are usable only for deposit purposes. Do you wonder why we didn’t mention credit cards? All of them are available, but also charged on deposit, so they are not a preferred choice here. Newcomers are welcomed with a Risk-Free Bet Bonus, which is 100% of the minimum deposit basis of £20, maximum £100. Use your special promo code, if you have one, to obtain the special refund and anything else is handled automatically. For your convenience, there are no odd requirements, but you should place your qualifying bet within seven days. Take note that you should wager at least £20 to qualify for the risk-free bet. However, some countries are restricted to participate in this bonus program. The unfortunate ones are Portugal, Bulgaria, India, Belarus, Chile, Croatia, Hungary, Latvia, Macedonia, Moldova, Poland, Romania, Russia, Serbia, Slovenia, Ukraine. Betfair is not offering much for its loyal clients. There is no reload bonuses or referral programs. Loyalty VIP programs are also missing. Luckily, there are ongoing promotions and seasonal bonuses for the players. Make sure to check their “Promotions” page to stay updated with the most recent changes.